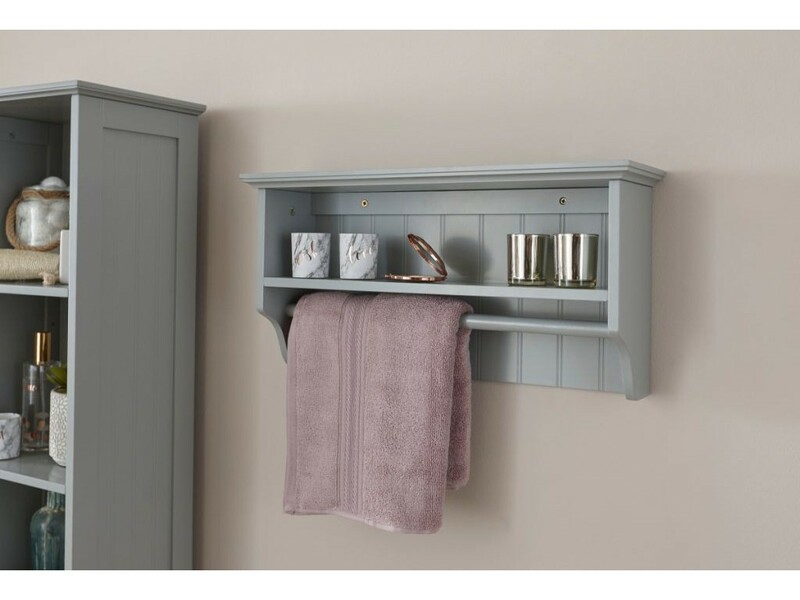 With its classic colour, chrome handles and Colonial style, this MDF towel rail shelf has long lasting durability, the perfect addition to any bathroom. 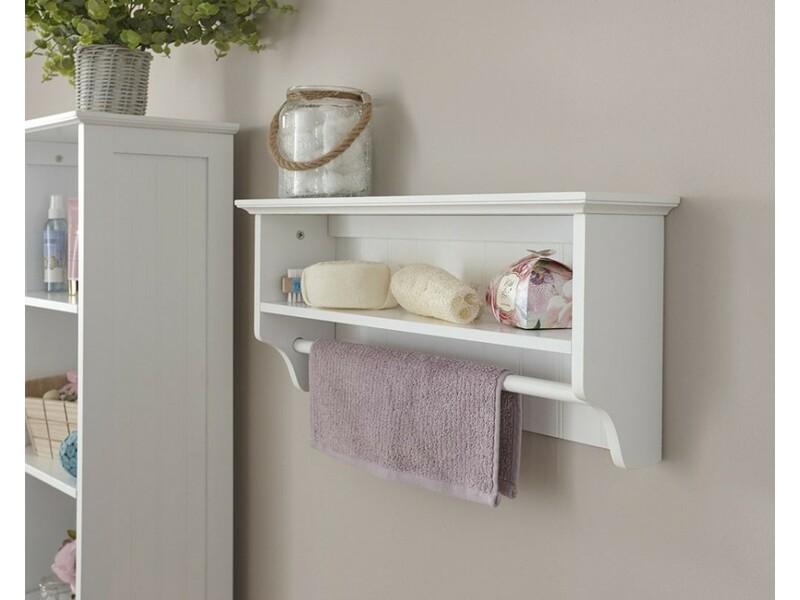 Ideal to keep your towels neat and your bathroom tidy, every bathroom needs a towel rail shelf. 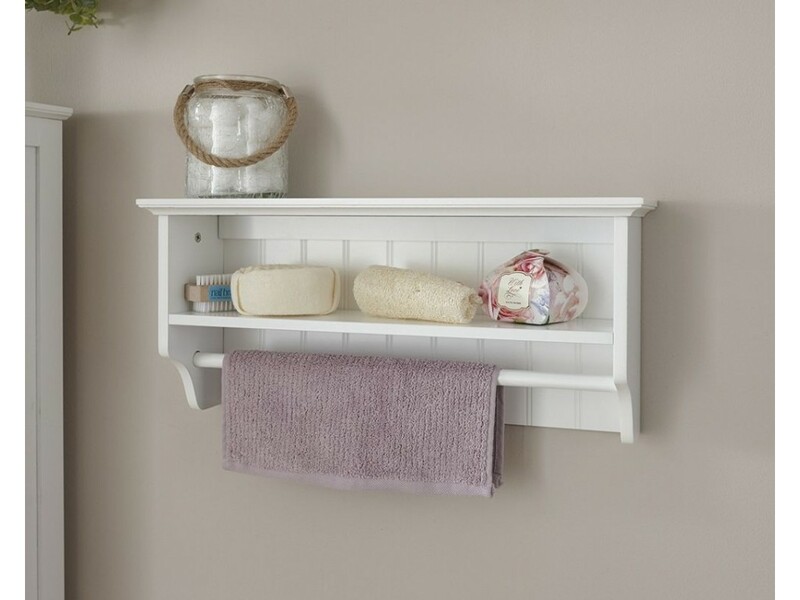 The perfect storage solution for your towels. 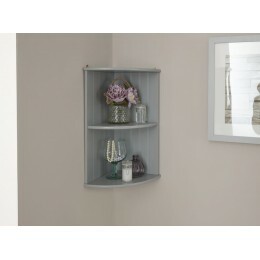 Crafted from Medium Density Fibreboard and paired with Chrome Handles. Simple to assemble, so that our customers can easily assemble the parts; instructions are provided with the product. All Mainland UK deliveries are FREE and it may take up to 2-3 working days. 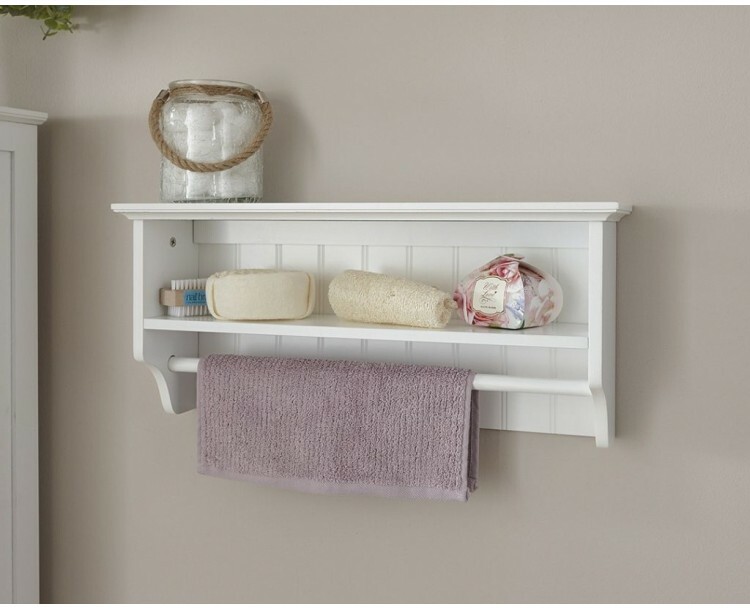 *Please note, only the towel rail shelf shown in the image will be sold.